What is the Alberta Export Support Fund? | Mentor Works Ltd. Entering and expanding international markets is one of the best ways that Alberta businesses can drive year-over-year growth. Yet for many small and medium-sized businesses (SMEs), the risks associated with exporting prevent exploring markets outside of Canada. Businesses can limit this risk by participating in trade shows and trade events, which tends to be one of the best ways to evaluate and enter new international markets with limited upfront investment. By participating in export events, your business may even be eligible for Alberta’s Export Support Fund. The program offers government grants to attend select trade shows and missions intended to help Alberta businesses network with high-quality companies across the world. Although the program is most ideal for businesses new to exporting, it can also provide support for experienced exporters that are evaluating new markets. The Export Support Fund provides Alberta business grants up to 50% of eligible costs to a maximum $20,000. To get started with the Export Support Fund, companies should first find an eligible export event and ensure it’s within an acceptable timeframe for the program. To be considered eligible, events must be performed in the same government fiscal year (April 1 – March 31) in which an application is approved. Applications are typically reviewed within six weeks of submission. The Export Support Fund is a Alberta government funding program designed for small and medium-sized organizations that are exploring and expanding under-developed export markets. Through the program, companies receive export grants to offset the costs of participating in select international trade events. This support helps businesses limit the risk of export projects and enter new markets with greater ease. Recipients of the Export Support Fund receive up to $20,000 in Alberta government grants. This can reduce eligible project costs by up to 50%. Funding awarded through the Alberta Export Support Fund is designed to directly offset the costs of a maximum two company employees travelling to the selected market, participation at trade shows, and translation of marketing materials for international audiences. While it’s not as inclusive as the federal CanExport program in terms of eligible export events, there are still a wide range of export trade shows and missions worth attending. Applicants should start the process by exploring upcoming trade events that are at least two or three months in the future and choosing an opportunity worth acting on. If companies receive approval from the program, they can start incurring funding-eligible expenses. Have a coherent plan to enter/expand an export market. Life sciences and health technology. Are deemed acceptable for support by Alberta Economic Development and Trade. Ready to start your Export Support Fund application? First consider your business’ eligibility and ensure you’ve found an export event that qualifies for support. Eligible applicants are invited to apply year-round during the program’s continuous intake. All applicants need to submit a comprehensive application package that includes the company’s market entry plan and an online form that provides greater insight into the chosen event. Applications are generally reviewed within 30 business days (six weeks), at which point applicants are informed of their funding status. Companies that receive approval can begin incurring funding-eligible expenses, while rejected applicants can re-evaluate their plans and submit later for further consideration. Funding is awarded once the project is complete and all documented expenses are submitted to the program. 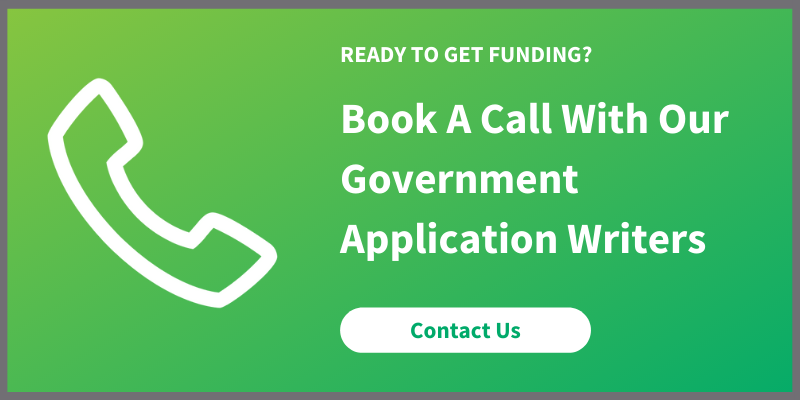 To discuss your business’ eligibility and explore ways to optimize the government funding application process, please contact Mentor Works.